While many vegetarians are quite slender, they are often stereotyped as being weak and malnourished. This is not always true as some very successful athletes and body builders who are vegetarian or vegan. Frank Medrano is a vegan calisthenics expert who is well know for his superhuman abilities and Patrik Baboumian is a German Strongman has broken multiple world records for his incredible weightlifting abilities, are just a few. Nevertheless many vegetarians of vegans worry that they’re not getting enough protein from their day-to-day diet. While most foods contain some protein, very few contain it in the same density as meat or seafood. For most people a low protein diet isn’t really an issue, but for those that want to gain weight or muscle, adding foods high in protein to their diet is essential. Many vegetarians will still eat dairy products and eggs, which are relatively high in protein. 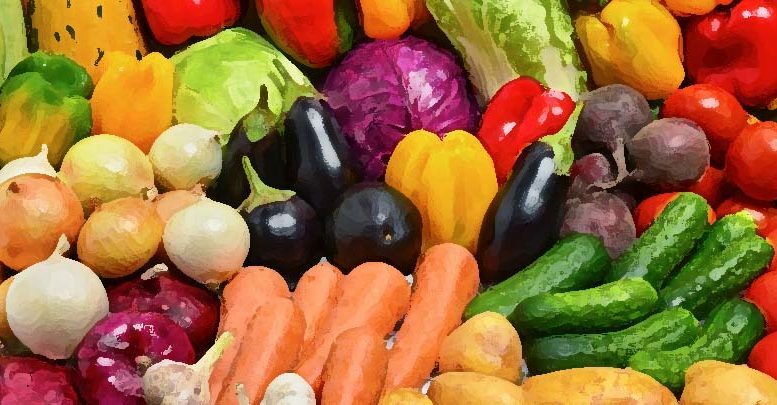 Vegans who do not eat any animal products have less choice when it comes to their diets, however there are still many foods that can give them a protein boost when they are in need. Below is a list of some of the food we recommend you supplement your diet with if you are considering going vegetarian or vegan. This South American grain is well known for its health benefits. It looks similar to couscous, however it is much more nutritious. It contains 14% protein, which is much higher than any other grain. It also contains magnesium, fiber, phosphorus, calcium and iron. It is a healthier substitute for rice and can be made into cookies, muffins and a plethora of other delicious snacks and meals. 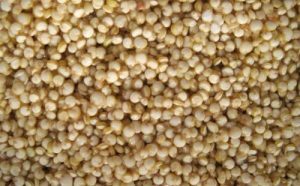 Buckwheat is not actually a type of wheat as it is not a grass however it is quite high in protein (13%). It is a relative of rhubarb and although eaten by different cultures in many different ways, everyone can benefits from the high levels of magnesium, potassium, iron and vitamin B in it.. 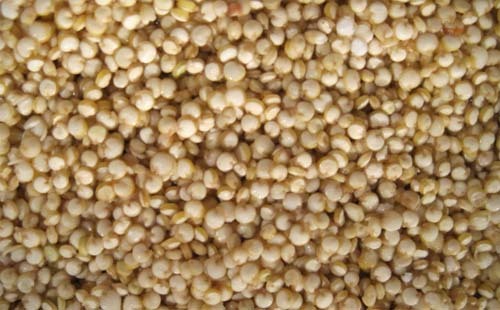 According to several studies, buckwheat improves circulation and lowers blood cholesterol. It also helps to maintain blood glucose levels. Soy has always been considered to be a good substitute for meat. The reason why is because soy is a complete protein. There are three soy products available: tofu which contains 8% protein, tempeh which contains 19% protein, and natto which has 18% protein. Both natto and tempeh are made with fermented soybeans. However, tofu is by far the most popular of the three aforementioned soy products. If you do intend to add more soy to your diet, just be sure to purchase non genetically modified soy, and we do not trust the GMO soy is fit for human (or even animal) consumption, and may cause you further health problems. These two are probably the cheapest and simplest foods you can include in your meals to get extra protein. White rice (both white and brown) only contain about 3% protein, people generally eat quite large portions of it in meals, so it can ad a considerable amount of protein to any meal. Beans are even higher in protein containing as much as 25% protein depending on the type of bean being consumed. 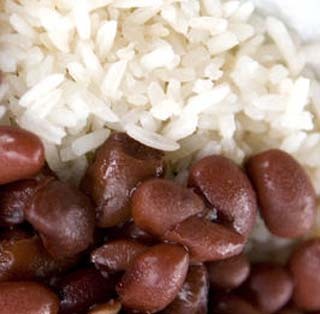 If you are trying to gain weight or muscle without blowing your budget, consider increasing the amount of rice and beans to your diet for an easy fix. There are many other animal friendly foods that are high in protein which you can consume to boost your protein intake. Take a look at some of our other articles on health and well-being to learn more. Next time you are having a meal, do some research online about how much protein is in everything you’re eating. You’ll be surprised at how much protein is in most foods. Now if only all the meat eaters would learn this and stop constantly asking silly questions..